The way I determine whether an avocado has ripened enough to use is a simple press test. I press my fingers on the outside the fruit to see if it’s soft enough to slightly indent. If it gives easily, it’s likely ready, if it’s still hard, it’s not. If the skin feels like it’s pulling away from the flesh it may be overripe but slice it open anyway because it might be just fine, especially if you’re making something like guacamole. A few bruises shouldn’t put you off; slice them out if you want to or mash them in. I also came across this tip for using the stem as an indicator from thekitchn.com. I may have to try it out next time. 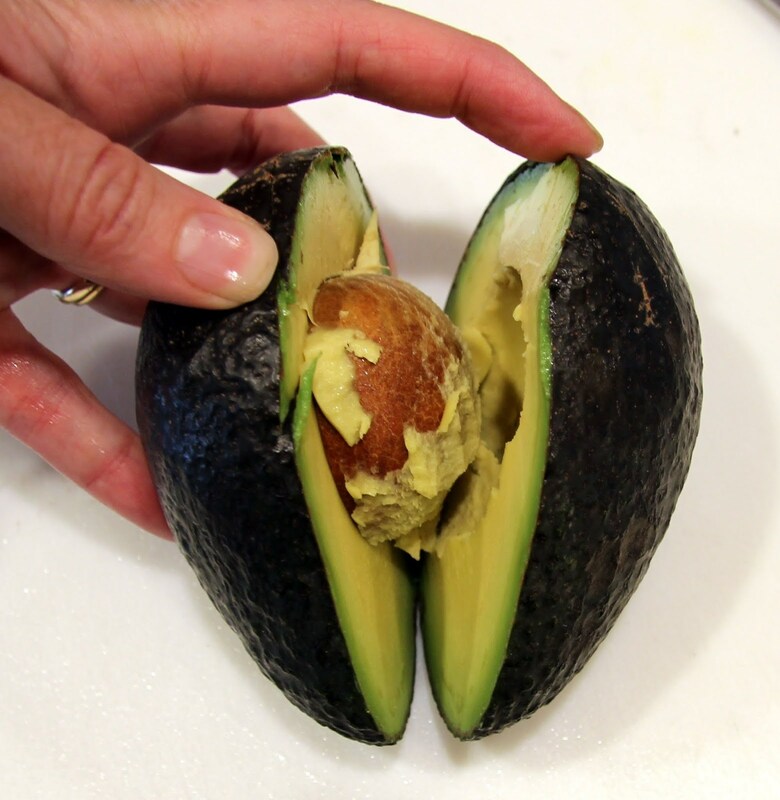 Using a sharp chef’s knife, cut through the avocado lengthwise along the pit. Twist to pull the avocado apart. Using the sharp, heavy knife, strike the pit in the center with a chopping motion then twist it out. Do not try to pull the pit out of the knife with your fingers. Lay the knife down toward your work surface so the pit is on solid ground and gently roll the knife to remove the pit. If it’s not wanting to let go easily, grab a kitchen towel or glove to protect your hand, grab the pit with that hand, then gently pull the knife away using a little rocking motion. Scoop out the flesh with a spoon to keep the half intact. Or, score the flesh with a knife while still in the peel and then scoop.